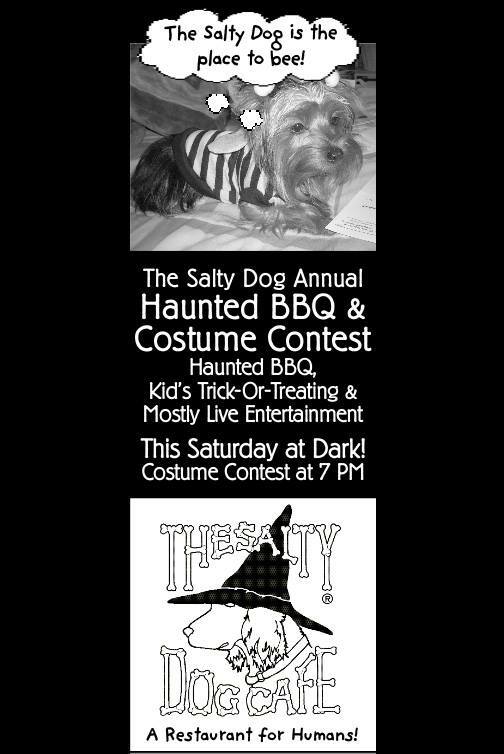 Check out the Haunted Village at the Salty Dog and a the kids costume contest this Saturday, October 26th at 7 pm. Prizes, candy and children’s entertainment and special appearances from Jake the Salty Dog! The Zombie Mile! — Halloween on the Harbour!